Come join us to create your own fantastical costume to wear to the Bauhaus Ball at the Wheeler Opera House. 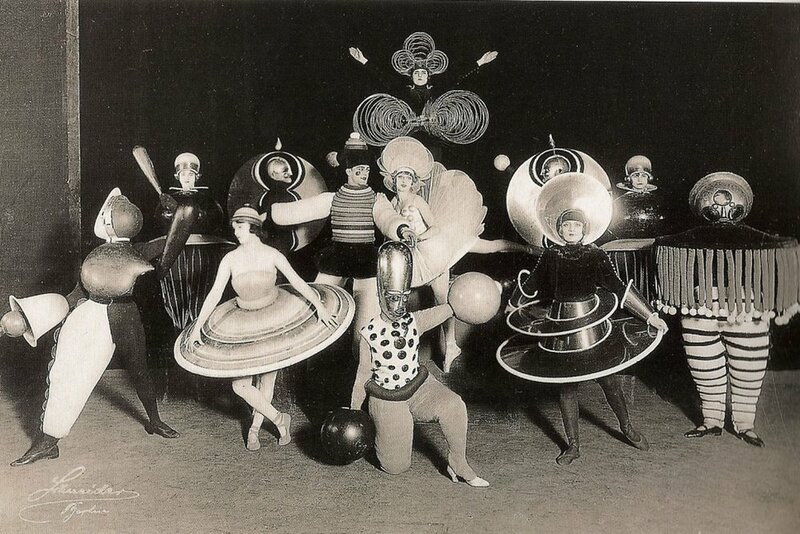 The Bauhaus school known for their minimalist design, also put on fabulous costume parties in the 1920’s. Not restrained in modernist fashion, Bauhaus costumes were flamboyant, sculptural and truly works of art. class is sold out! Check costume workshop availability for other weeks in May. The Red Brick Center for the Arts is a community arts center in Aspen, CO. The Red Brick features gallery exhibitions, children and adult art classes, local artist studios, nonprofit offices, a conference room and dance studio. Join us at this creative center in opportunities to learn and experience the arts, connect with others and participate in enriching the community.